By thorough analysis of your documentation and certificates we are able to save time and money while preparing your IHM report. HazMat inspectors pay a visit onboard and perform sampling with specialized tools without interrupting the operation of your vessel. The EU SRR already adopted by the European Parliament and the Council of the European Union on 20 November 2013 demands every ship (flying EU Flag or non-EU Flag) calling at an EU port to have an approved IHM report onboard bringing forward the 2009 Hong Kong Convention for the Safe and Environmentally Sound Recycling of Ships which is not yet ratified. There are HazMats like asbestos which have been banned and if found need to be removed immediately from the vessel. Other HazMats will remain onboard and given such circumstances crew will need to carry on working with them. We can advise you regarding how your officers and crew can protect themselves with the correct PPE and how to work safely with HazMats. We have recycled ships in EU ship recycling facilities and can follow-up both licences and project management of the recycling of your ship. The Ballast Water Convention entered into force on the 8th of September 2017. With our wide knowledge and unbiased evaluation of ballast water treatment systems we can help you choose the right system for your vessel. Our engagement starts from the beginning of the process until the end. We will be pleased to carry out the installation of your BWTS and supervise the complete process in the shipyard of your choice. We are proud to say to have approved more than 200 BWMPs with all major classification societies. 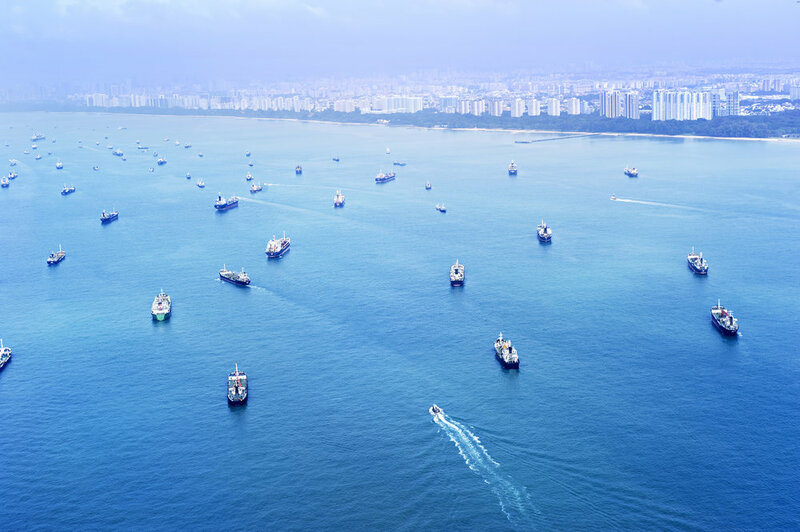 The SEEMP was made a requirement for all ships at MEPC 62 in July 2011 with the adoption of amendments to MARPOL Annex VI (resolution MEPC.203(62)), by Parties to MARPOL Annex VI. We can advise you on how to improve the energy efficiency of your vessel. The purpose of the SEEMP demands the constant management and improvement of energy efficiency onboard ships. We will be happy to share the best practices we have gathered through working experience, systems upgrade and crew engagement. The follow-up on targets set will define the achievement or deviation to what was planned for a given year. We will make sure there is proper recording of your performance and advise you on the steps for the coming year. The necessity to reduce CO2 emissions from global shipping strives for CO2 reduction technologies. Contact us for further information. We calculate emissions based on international norms and provide tools which are easy to use and follow-up on a timely basis. We will guide and help you comply both with the EU MRV Regulation and the IMO Data Collection System. We have hands-on experience regarding CO2 audits from major shipping companies. We will prepare you for the audit with the quality assurance company of your choice and guide you through the steps in order to get the certification you wish. The option to convert vessels to use LNG as fuel has gained more interest due to the upcoming environmental legislation. Our expertise can guide you further in investigating the possibilities and challenges to carry out such a conversion. Your newbuilding along with the spec will need further advice and consulting regarding the overall environmental performance. We will guide you in making your ship not only environmentally friendly but also environmentally safe to continue working in the long run. With the global sulfur cap coming up in 2020, the only available option to continue running on Heavy Fuel Oil is the installation of a scrubber. We have been working with all the major manufacturers of scrubber technology and upon your request will perform a study on how to fit such a system onboard your ship. The necessity to regulate NOx emissions has urged IMO in implementing Tiers I, II and III regarding ship diesel engines. The installation of an SCR catalyst will help you reduce and practically eliminate your NOx emissions.